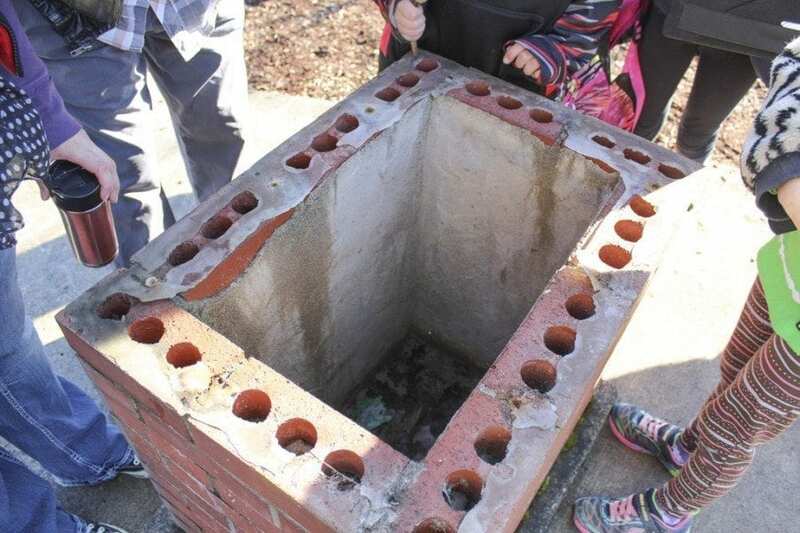 VANCOUVER — What was supposed to be an afternoon full of reminiscing and remembering “the good old days” of 1992 turned into a day of sadness and disappointment at the Lieser School in Vancouver Friday, after the discovery that the time capsule — put into a bricked-in hole near the front of the school 25 years ago — has gone missing. 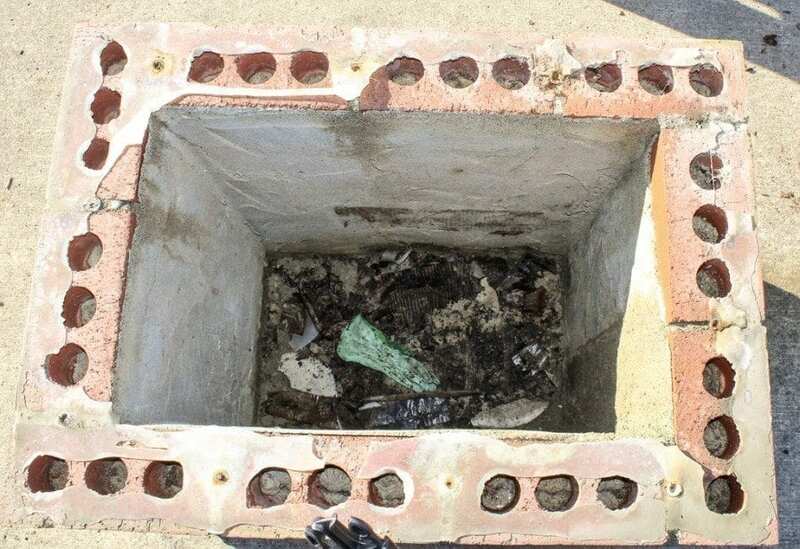 Housel was 12 years old in 1992, a sixth-grader at Lieser, when the time capsule, filled with relics from the early 1990s, was placed inside a small monument of red bricks near the school’s flagpole. She remembers putting bookmarks and a letter to her future self inside the time capsule and said she was angry with whomever removed the time capsule and caused such sadness. Like other Lieser alumni, Housel had gathered inside the school’s gymnasium on Fri., Jan. 27, to see what was inside the time capsule. Her mother, Marge Housel, and 16-year-old daughter, Zayla Wollen, came with her. Marge Housel had two children at Lieser when the time capsule went into the ground — Jennise and her brother, Jered Housel. 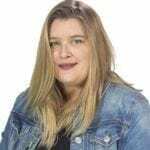 The trio waited inside the gymnasium on Friday afternoon with another Lieser alumni, Michele Manly, who remembers putting bookmarks into the time capsule as a sixth-grader. After a brief welcome around 1:30 p.m. on Friday, Lieser Principal Deanna Hogan and Vice Principal Anita Chase led the crowd, which included several dozen school children, their parents and an impressive number of alumni from the 1940s up through present day, to the front of the school for the time capsule’s unveiling. 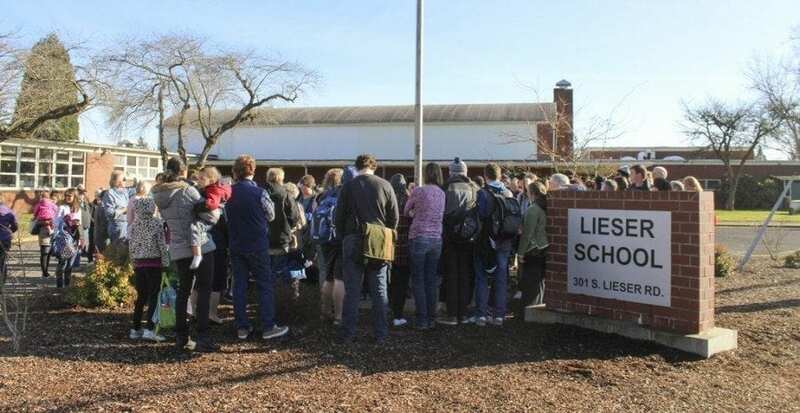 A crowd of teachers, alumni, parents and students gather at Lieser Elementary School in Vancouver Friday afternoon, Jan. 27, to witness the opening of a time capsule from 1992. What the discovered was just an empty hole with a small green gardening-style glove inside. Many alumni had traveled to the time capsule opening from outside the Vancouver area. Angela Goossen, a Lieser alumni from the 1980s, lives in Boston, but happened to be in town on Friday and attended with some of her old school friends. Paul Pace, 31, had traveled from Lincoln City, Ore., to witness the time capsule opening. Pace was a first-grader when the capsule went into the ground. After realizing it wasn’t there, Pace stood outside with his brother, Chris, and their mother. He’d been looking forward to seeing what was inside, Pace said, and although he didn’t remember exactly what he’d put into the time capsule, he did have one vivid memory of his first grade year. Although they had planned to put the time capsule items out for display, Lieser Principal Deanna Hogan and Vice Principal Anita Chase didn’t let the missing time capsule wreck their afternoon. 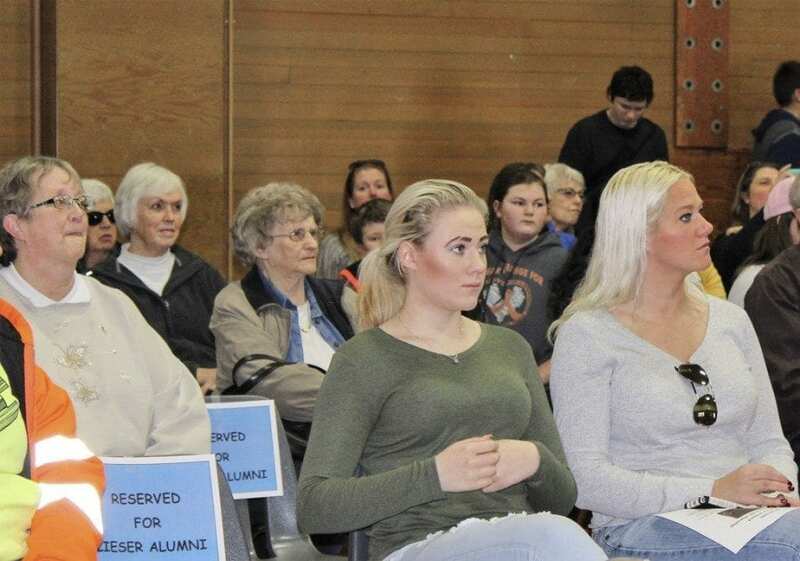 They gathered the crowd back into the gymnasium and asked alumni to come forward with stories from their years at Lieser. 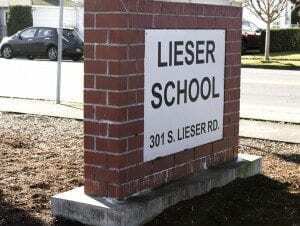 Lieser Elementary opened in 1944 and transitioned to the site of a preschool program in 1992. Now, the site houses students in kindergarten through 12th grade, who are enrolled in nontraditional education programs. If voters approve a school bond measure in February of 2017, the school could be moved to the current-day Marshall Elementary School, which is slated to be remodeled. For more information about Lieser School, visit http://vansd.org/reschools/project-school-lieser.